VIFLY Finder, a must have drone buzzer if you always crash your racing drone. It is a buzzer that can work even after the main battery was ejected. 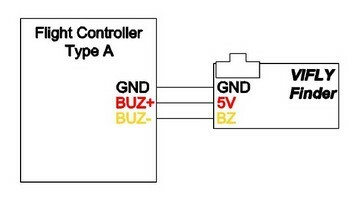 If the battery is still connected, it can work as the standard buzzer that can controlled by the radio controller. If the battery is disconnected, it can beep automatically as it has built-in battery. In addition, the voice is much louder than normal buzzer that can help you find the lost quad easily. Here is the video about how to install it on the racing drone and connect with your flight controller.